I just spent two days at the Vectric Users meeting over by the DFW airport here in Dallas. Vectric produces several CNC designer products (I have them all) but their premiere product Aspire (especially) is the creatived software I use the most to design and create the complex forms I machine with my HB2 router machine. 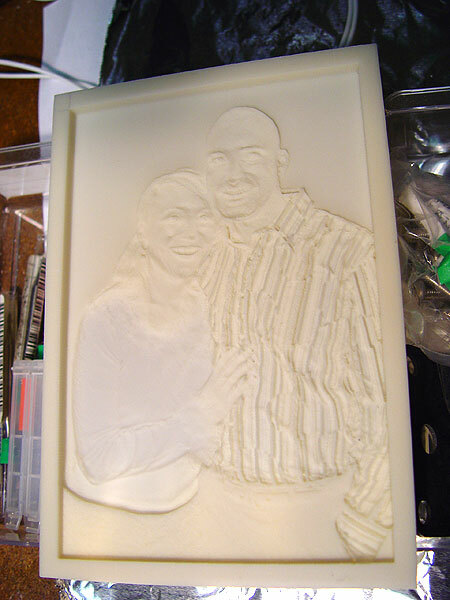 The results are the Lithophanes, carved wood signs, 3-D sculptures and 2-D components I make on my machines. I have posted a new blog to display my creative output. Here is the URL : http://DimensionalArt.org. There is now a division between Ramblin’ Dan and The Hobbyist’s Machine Shop postings. I have split off almost all the material within Ramblin’ Dan that was directed to my activities in the machine and work shop. There is a link to that information in the right hand column under Dan’s Retreats labeled A THMS Blog. I may eventually have the URL for the THMS web site point to the blog rather than the website. The “front door” to the website will be through the blog. 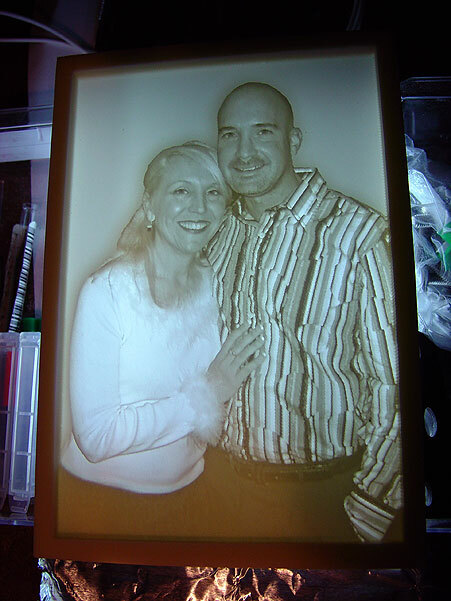 I have been experimenting with cold cathode lighting for use with the Lithophanes. This is just a setup on the work bench. This looks like it will be a superb method of displaying these carvings. This picture layout is a bit crude but you can see all the parts. 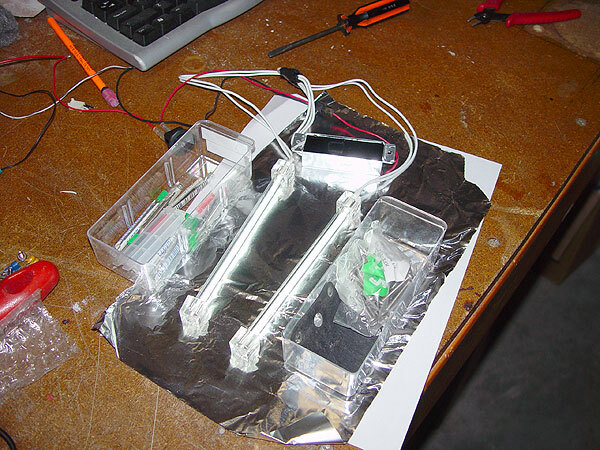 Two bulbs on the foil and the high voltage balast in the small shiney box (with ears). It is potted with black tar-like material. The systems is actually powered by a 12V DC “wall wart” power supply off camera.